A few weeks ago, I received a copy of "The Power of Incremental Advantage" from its author, David Wanetick. This is a fascinating book, and its premise is summed up by the title: "How Incremental Improvements Produce Dramatically Disproportionate Results." 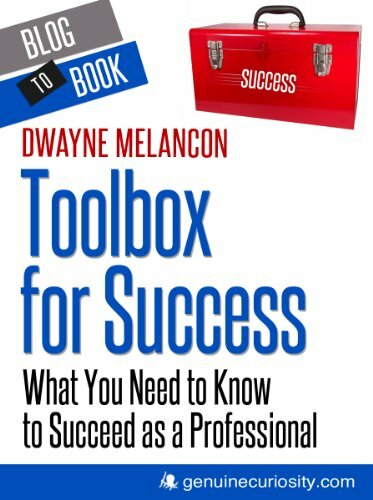 In essence, this book is about consistently seeking small advantages to enable you to achieve greater success. It reminds me of a quote I heard a long time ago, "The more I practice, the luckier I get." This book is partially about being prepared to seize the moment when opportunity presents you with an advantage, and partially about taking actions to create more situations in which you benefit from an incremental advantage. The first section of the book is filled with some thought-provoking stories, through which Wanetick gives examples and object lessons of when a slight advantage has made a significant difference in various events. There are examples from entertainment, retail, finance, world politics, and myriad other sectors -- each providing great illustrations of the power of incremental advantage. The second section analyzes the common traits of the world's most successful people. Some of these will sound familiar (know your strengths and actively develop them, concentrate on placing yourself in contexts that favor success, etc.) but Wanetick does an excellent job of adding some meaningful color to these ideas, again through some engaging stories. There are some excellent nuggets of advice here in a bunch of topic areas, including personal productivity, planning, preparation, financial strategies, and negotiation. In the last section of the book, we get down to brass tacks. In this section, Wanetick offers a great collection of advice, tips, tricks, and philosophies to help you create your own incremental advantages in your life. These range from where to sit in a meeting, how to manage others, how to "network" more effectively, how to be more productive, how to deal with stress, how to use your gestures and posture as an advantage, and a broad assortment of other topics. This is awesome stuff, (again) illustrated with memorable stories. How Bill Clinton managed to get his picture taken shaking hands with President Kennedy. The analysis of how JFK's superior choice of clothing helped him trounce Nixon in a Presidential debate. Wanetick's advice on staying out of the "Networking Quagmire." Secrets of productivity as demonstrated by UPS. "I want people to understand the power of small things -- the power in the little decisions we make every day. By learning from the stories in my book, and trying to implement some of the advice in this book, people will begin to create advantages for themselves and see better results in their lives." "Through subtle actions as simple as where you sit in a meeting, you can significantly influence outcomes. Understanding the power in these actions and becoming more conscious of their cause & effect enables you to achieve your results more quickly and with less effort, no matter what results you are seeking." I really liked this book, and I suspect you will, too. You can find this and more resources at the book's site.